Timing is everything. It was true early Thursday morning for the Chicago Cubs, who are World Series champions after 108 years of futility. And it was true for Nike, which used the first ad slot after the final out of Game 7 to air the spot below from Wieden + Kennedy—a lovely, quiet salute to the positive spirit of the team during its 2016 playoff run. 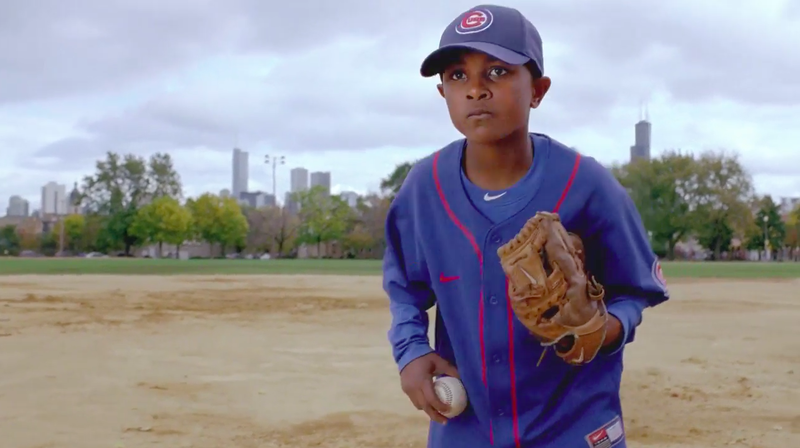 Nike has been rallying the city of Chicago all week long with a "Make Someday Today" campaign featuring "living" out-of-home ads, including billboards that reacted to actual game action. Kudos to W+K and Nike for a great merging of creative and media celebrating a historic moment in sports. In some ways, the spot echoes the "Worth the Wait" ad that Nike made when the Cleveland Cavaliers won the NBA title in June. You have to wonder what the Indians spot looked like that Nike surely made for tonight, too. Broadcast Traffic: Andrea Sierra, Stephanie Goodell. Song: Willie Nelson, "Funny How Time Slips Away"